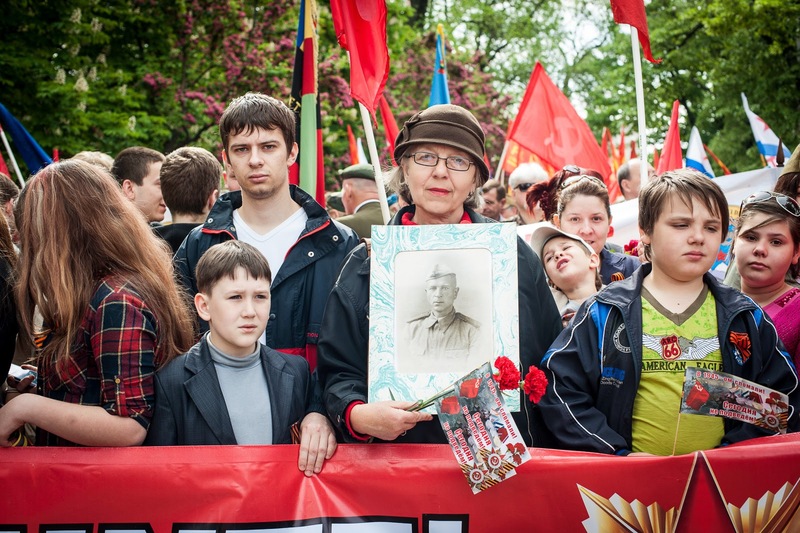 My Moldovan acquaintances told me that until this year attendance and participation in the May 9 (The Day of the Victory and Memory of Heroes Fallen for Motherland’s Independence) parade has been declining. 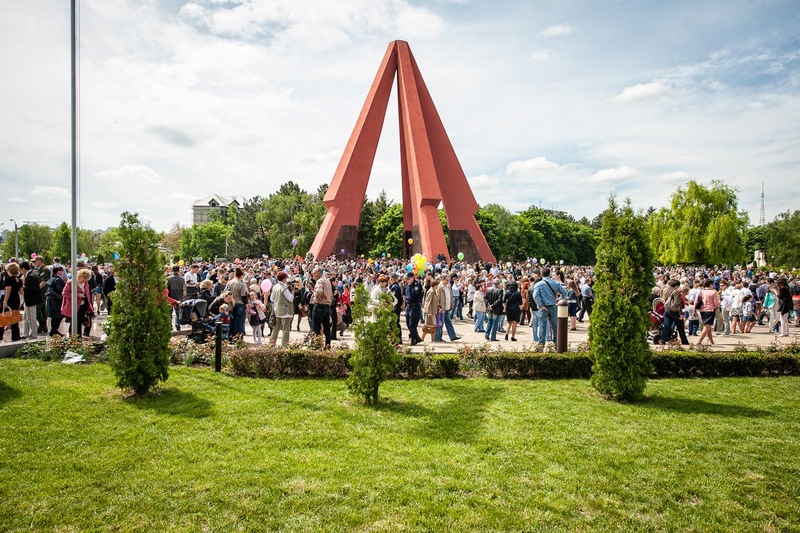 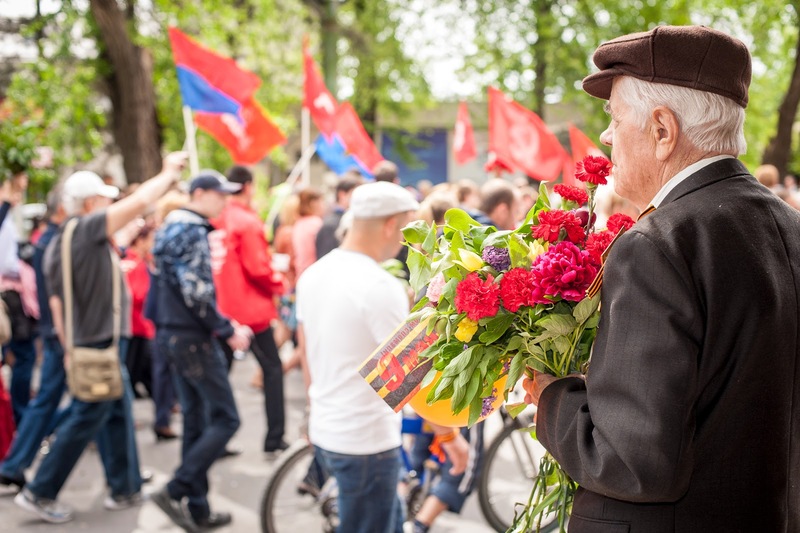 This year the mayor of Chisinau announced that there was no reason to continue having "victory" day celebrations which brought out floods of people to walk in this parade from the Triumphal Arch to the Military Glory Memorial (WWII Memorial). 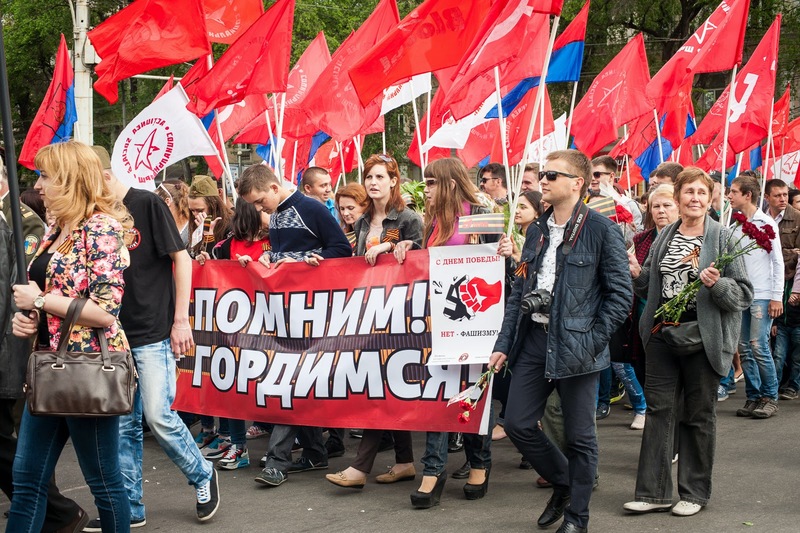 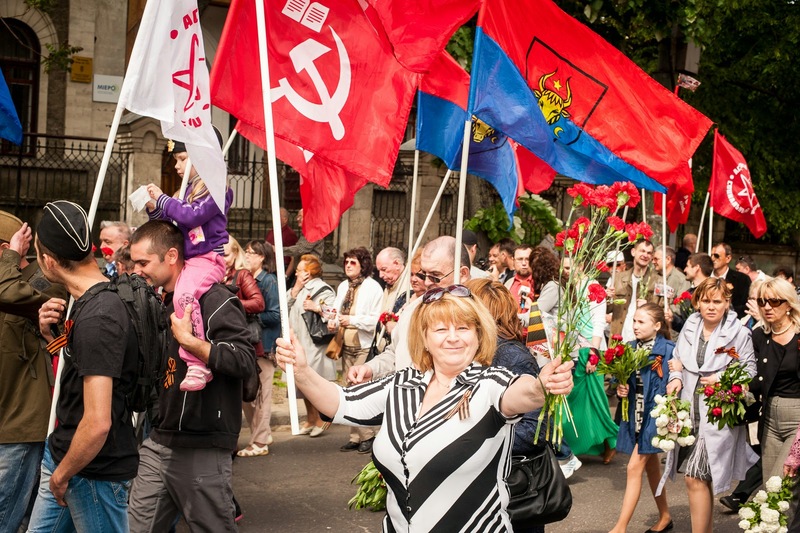 There were conflicting agendas with some seeing May 9 as the day Moldova "passed from a totalitarian occupation regime to a harsher regime" and others insisting on celebrating the "victory over fascism". 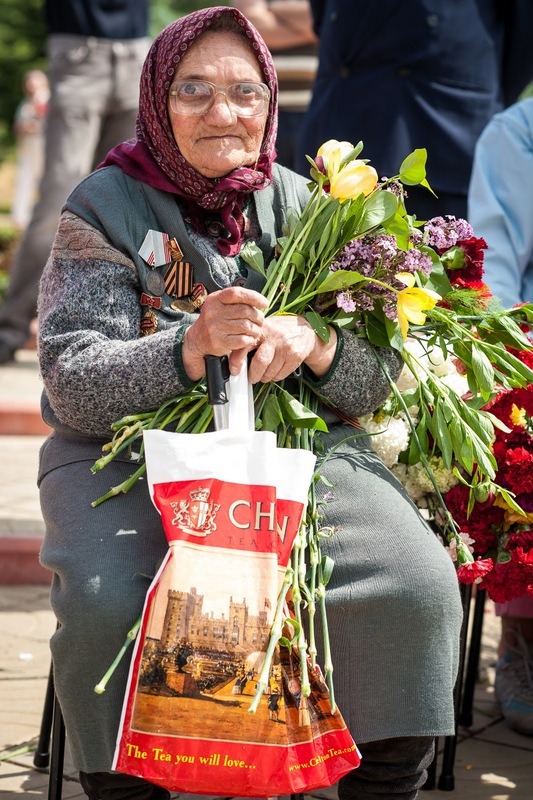 A significant number of ethnic Russians populate Moldova because prior to WW1, Moldova was part of imperial Russia. 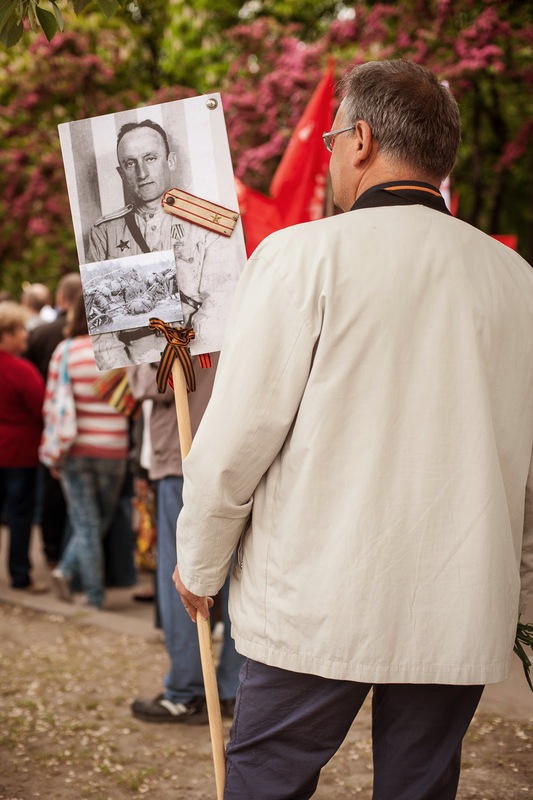 At the end of WWI, Moldova became part of Romania. 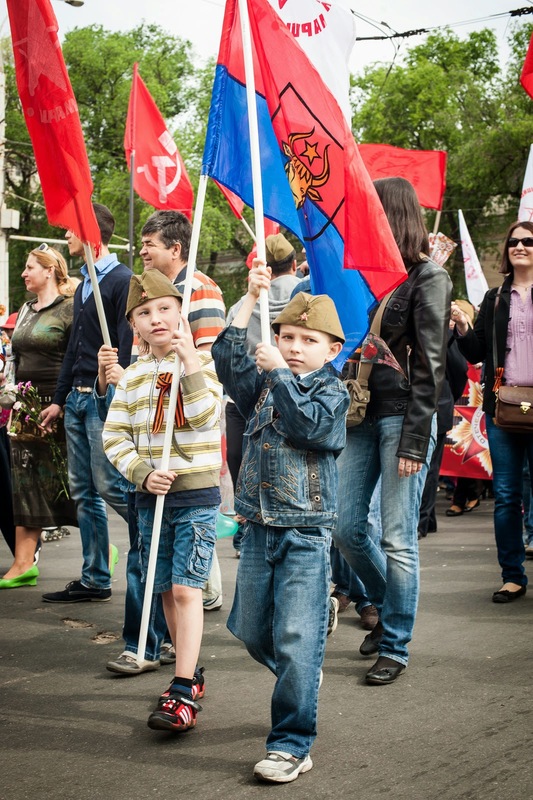 As a result of this later union, Moldova fought on the side of the Nazis with Romania in WWII. 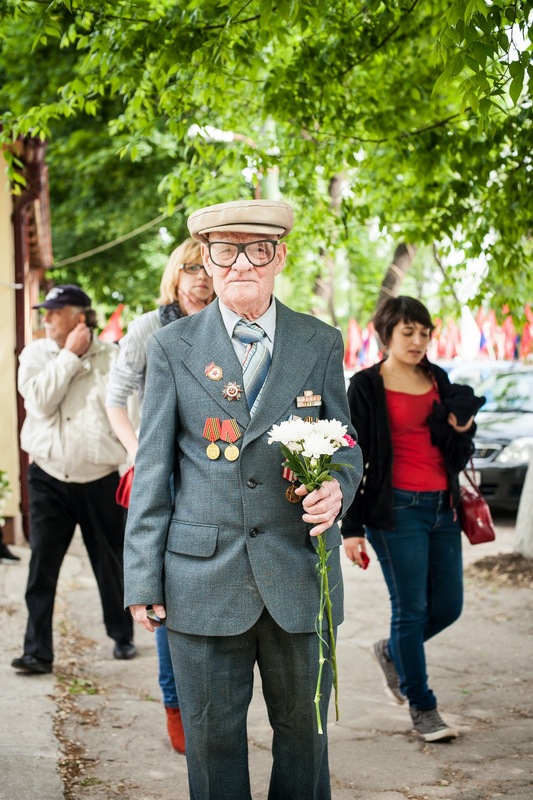 After the Nazi defeat, Stalin annexed Moldova as part of the war reparations he demanded from Romania. 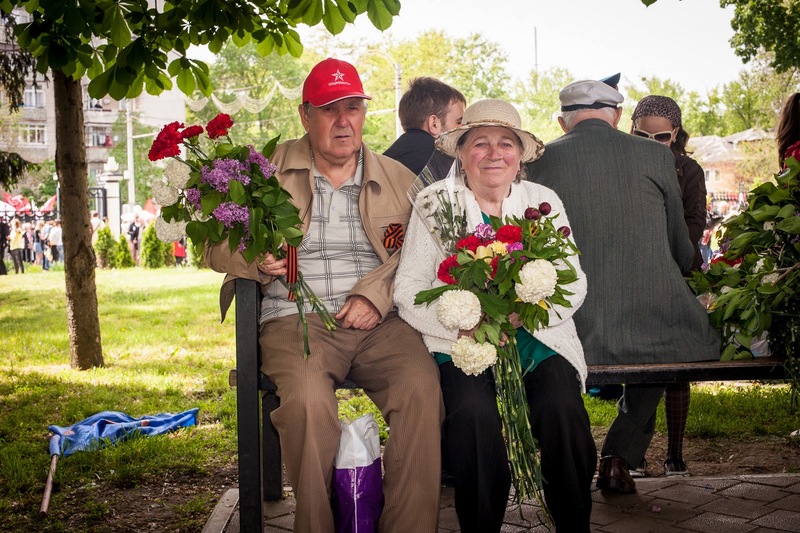 Moldova's population consists of the survivors and the descendants of those who fought in the German/Romanian army as well as the survivors and the descendants of the Soviet victors. 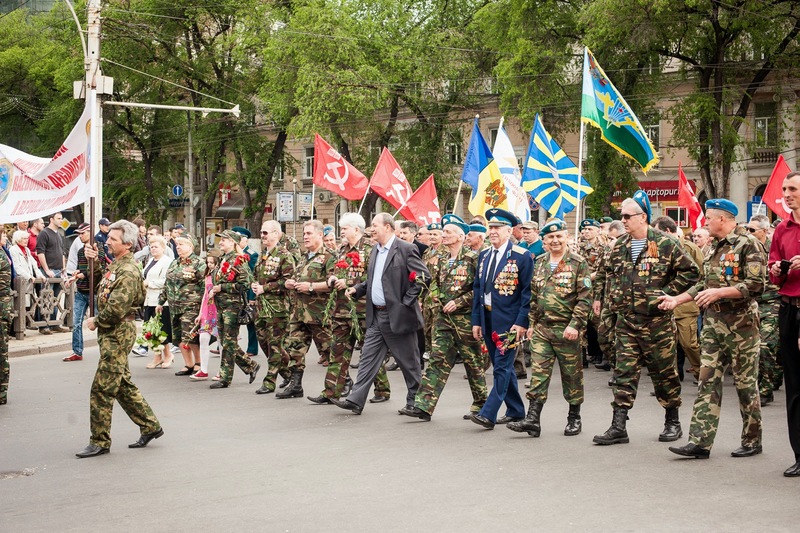 This parade seemed more about politics than about remembering. 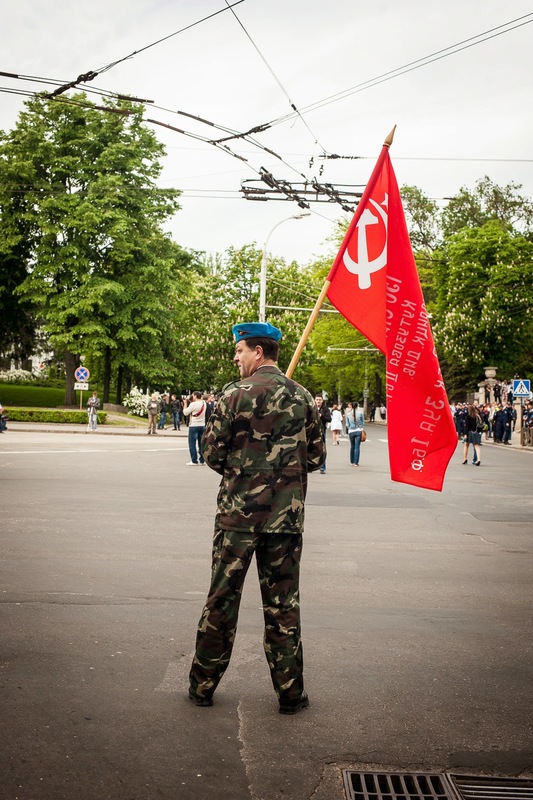 Flags of The Communist Party (PCRM), CCCP T-shirts, and other party flags were everywhere. 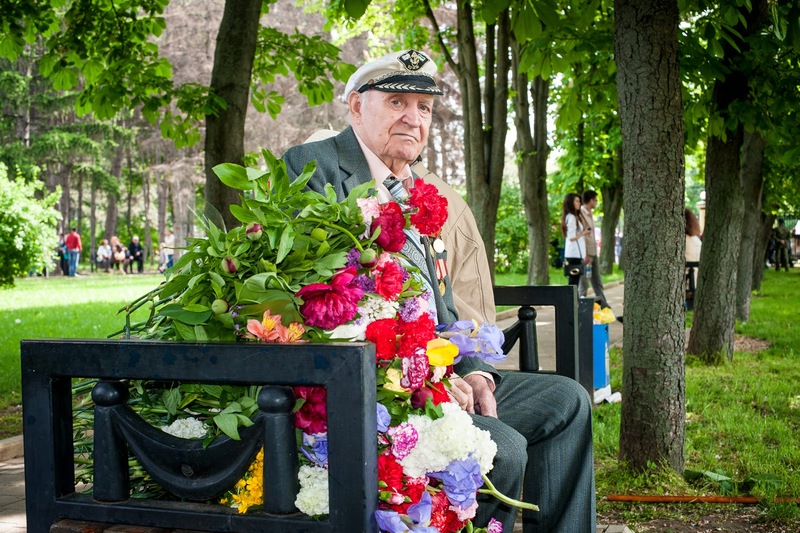 According to Infotag an online English language news site, the Moldovan government decreed that "all veterans of the Second World War – those who fought in the Soviet Red Army and those against it – shall receive a financial assistance to an amount of 1,000 lei each, which is twice greater than last year." 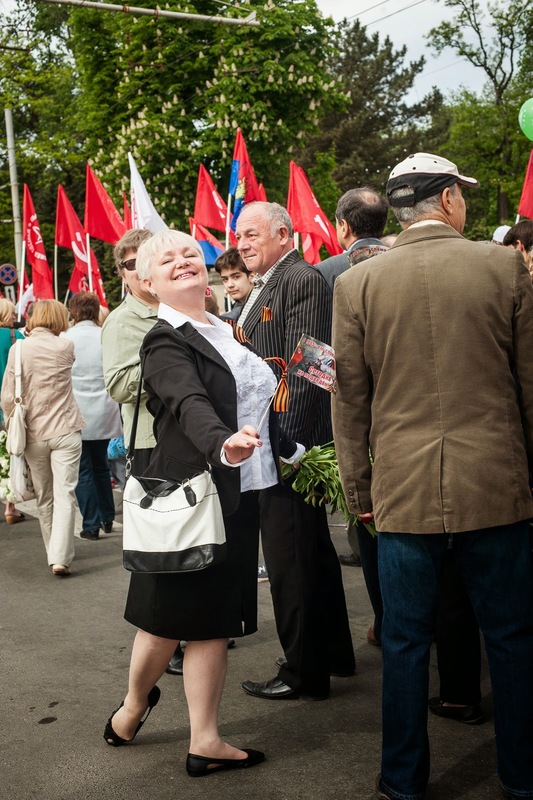 One thousand Moldovan lei equals about $75 USD. 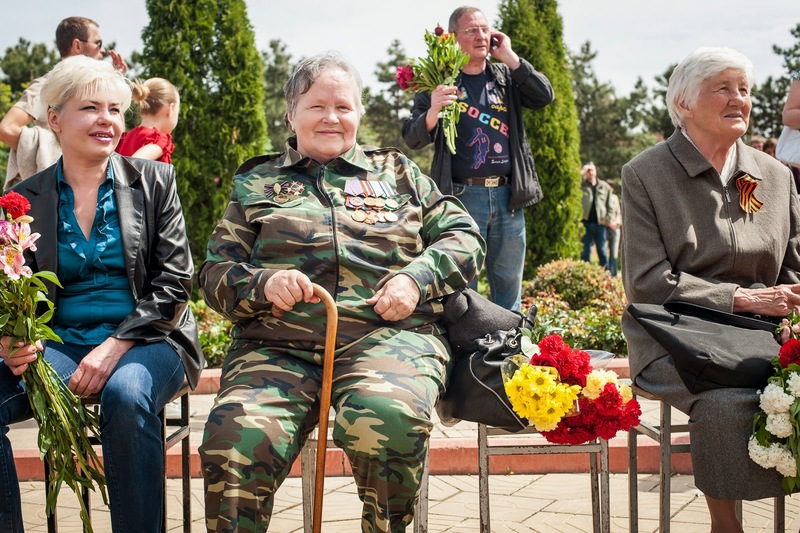 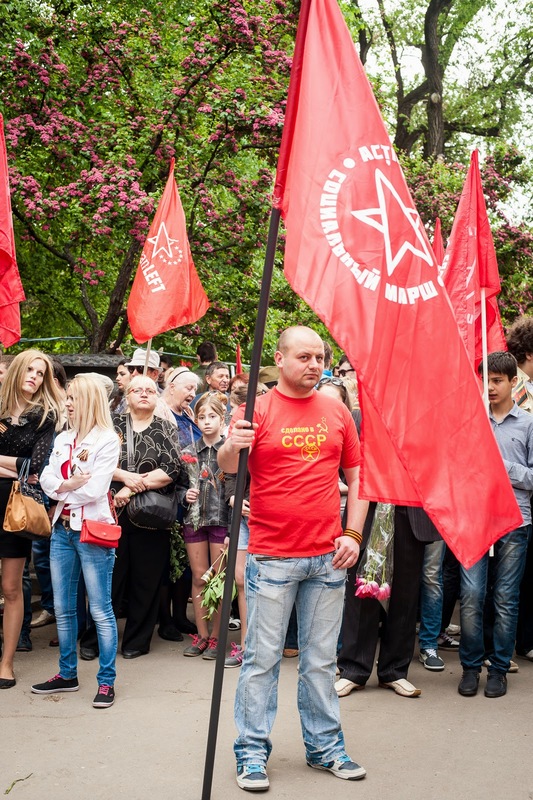 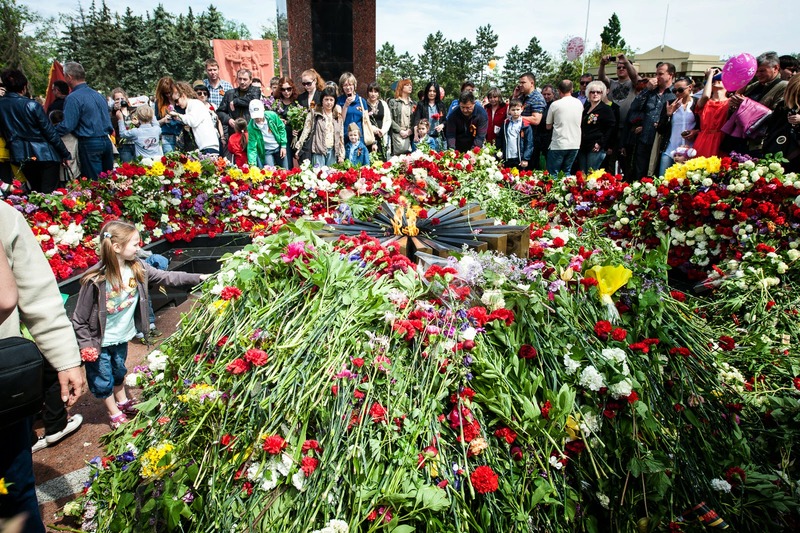 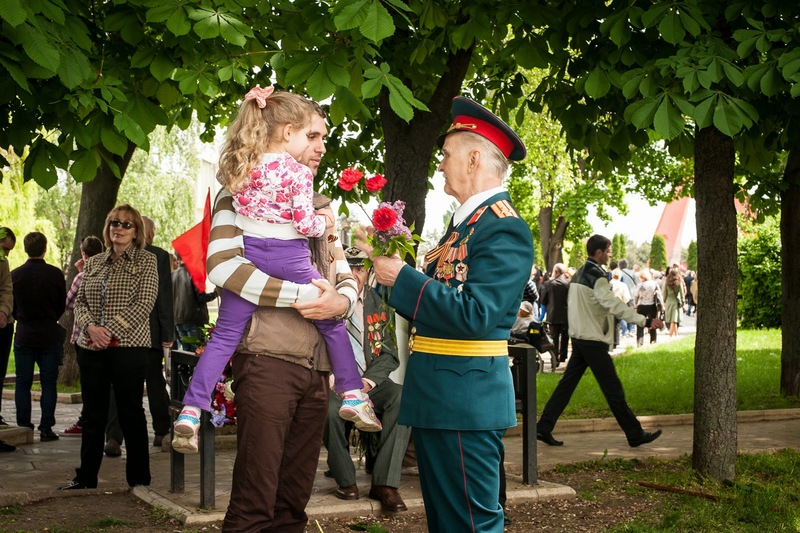 In addition to the May 9 bonus, Moldovans greeted war veterans with words of gratitude and flowers. 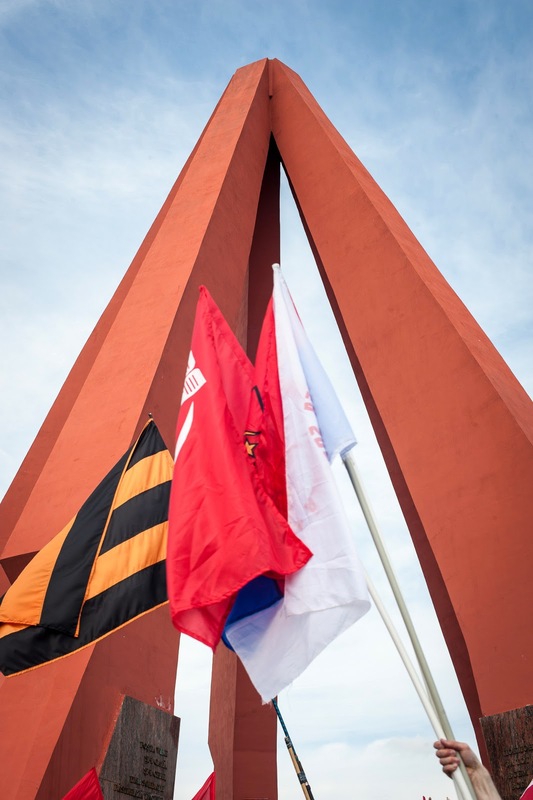 The Ribbon of Saint George (orange and black striped ribbon) flag was flown and the ribbon was worn by most of those observing May 9. 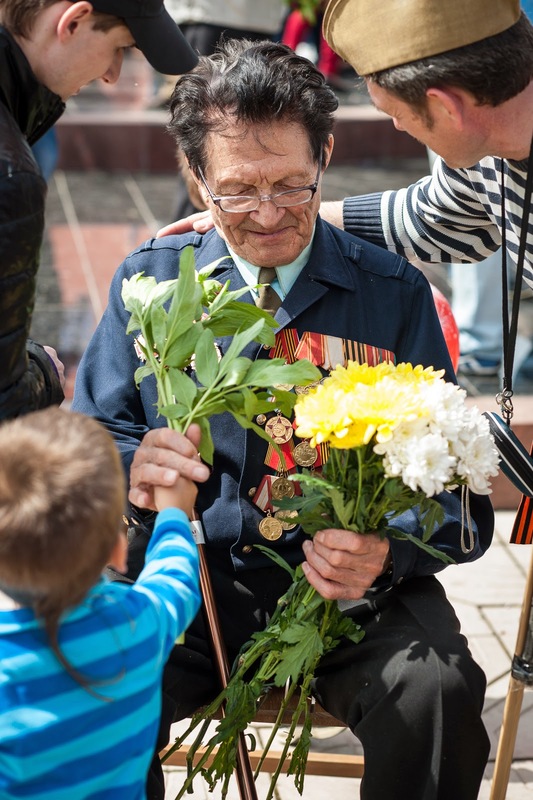 Throughout the day, the ribbon was distributed all over the center of Chisinau. 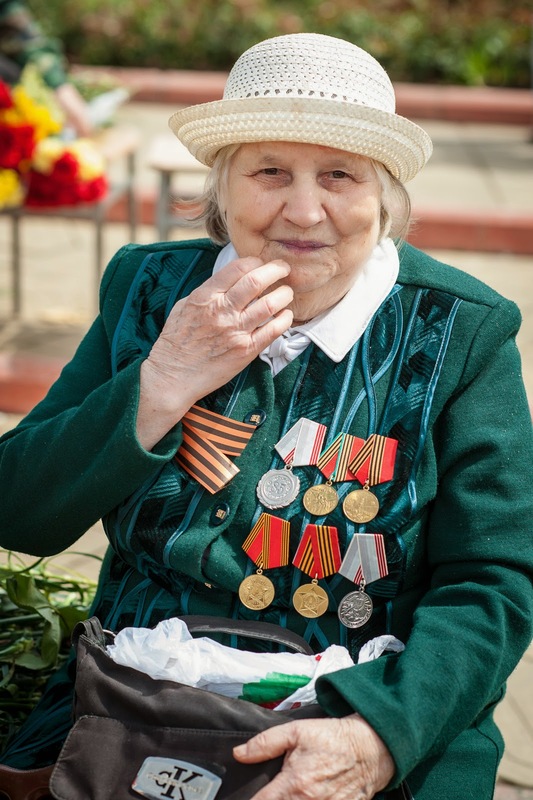 Initially, the Ribbon of St. George with a gold medal was the highest award given in the Russian Imperial Army. 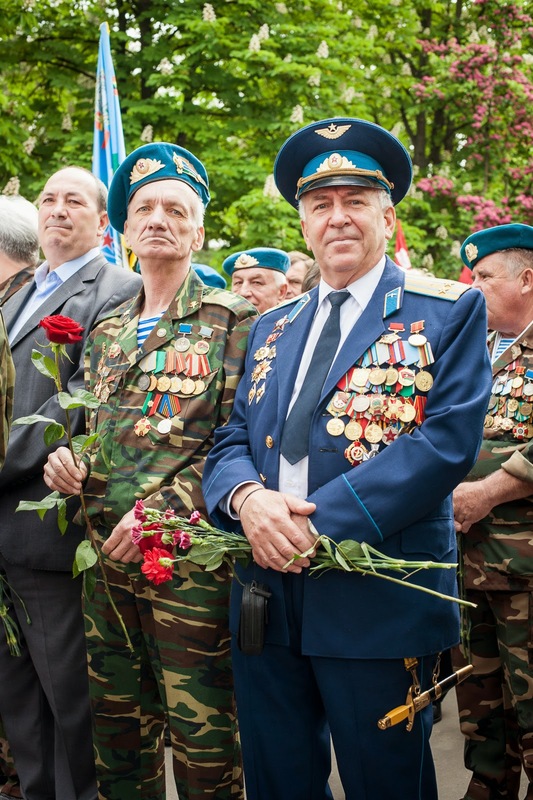 According to an article in the Irish Times, "the ribbon has made a come back in Vladimir Putin’s Russia as part of a Kremlin campaign to glorify the memory of the second World War and boost national unity (http://www.irishtimes.com/news/world/europe/russian-ribbon-of-saint-george-divides-former-soviet-empire-1.1788933)." 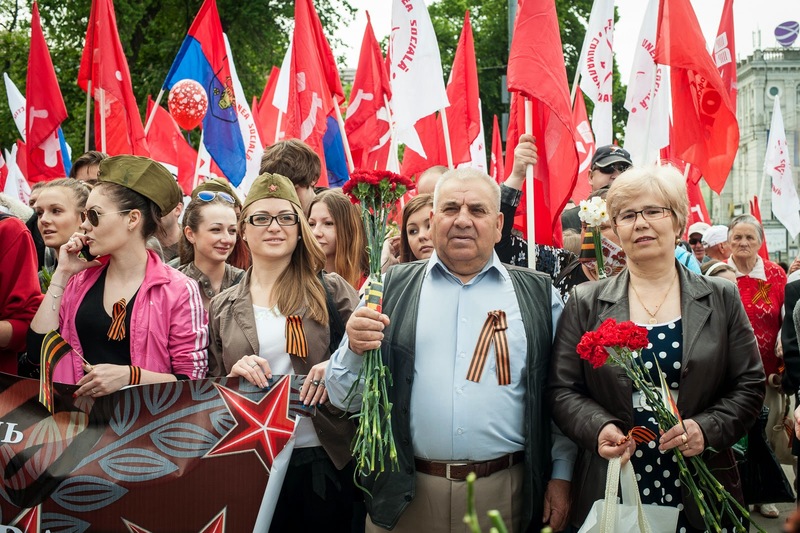 The Ribbon of Saint George was adopted by pro-Russian separatists in eastern Ukraine; now it is in Moldova.